In recent years, it has become quite common that directors and producers drop hints at a possible Extended Cut while the film has yet to start in cinemas. Marvel's Guardians of the Galaxy can now be added to that list. Collider talked to director James Gunn and producer Kevin Feige. Especially Gunn seems to favor a longer version on home video later on while Feige is traditionally more coy about such issues. It would be the first film from the Disney/Marvel world that would be prolonged. Gunn thinks that there are enough deleted scenes to do such a longer version, especially since it's not scenes that didn't fit in the film's story structure but were simply dropped due to runtime problems. 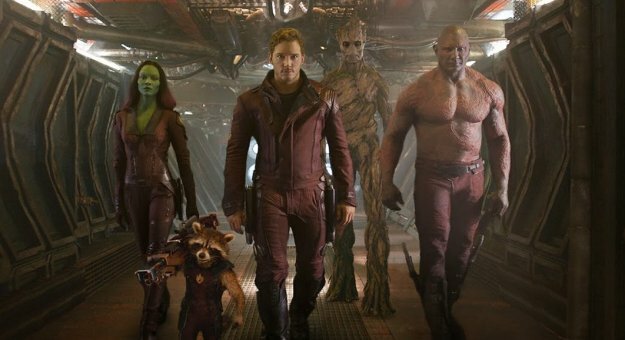 JAMES GUNN: I actually think it would be fun to do a version with some deleted scenes. I think it’d be cool. Guardians of the Galaxy starts in US cinemas on August 1st, 2014.